Nicky Dare, Founder of iDARE®, Inc., is a skilled, goal-oriented entrepreneur. Spanning over thirty-one (31) years, her illustrious career in international management consulting, leadership, team, and relationship-building in corporate environments is an outgrowth of her time-honored commitment to excellence, loyalty, dedication and integrity. For Dare, these are not simply terms of art, but modes of being. Her personal and professional maxim, “iDARE”® (“Integrity, Diversity, Adaptation, Resilience, and Empowerment”) is a testament to her own growth experiences throughout her life. As a skilled marksman, Ms. Dare believes that knowledge surrounding emergency preparedness and firearm expertise is paramount. Her non-profit, iDARE® Inc., was born out of a vision from the most powerful mentor in her life; her father. He instilled the importance of living life filled with truth and purpose. Operating off these pillars, iDARE® Inc. is dedicated to helping development communities, empowering women, and educating children that have been impacted by disasters. It is apparent that Ms. Dare's "pillars of excellence" derived from her family values and strong academic and education background including her grandfather who was a prominent figure and reputable District Attorney 'Jaksa' in Indonesia. Immigrating from South East Asia to the United States in the 1970’s, Nicky’s beloved late father pursued his Ph.D. and taught at various prestigious universities throughout the country, as well as European countries. After spearheading her own start-up business in Management Consulting (Founder of GMMC Global Meta Management Consultants Ltd.) as early as at age twenty (20), Nicky took on the rigors of balancing career and family, ultimately moving to Southern California, where she obtained her real estate license and became active in personal and local business networking. 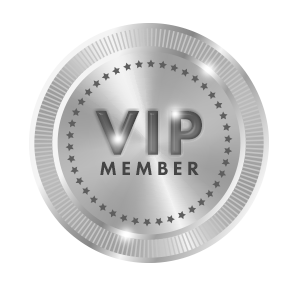 Nicky is an active member in a variety of such groups (e.g., Southern California’s Chamber of Commerce, Southern California’s Real Estate Association, SCV, Power Partners of Marketing, and The Rotary Club, just to name a few). Dare had put significant time and effort into promoting leadership and team- and relationship-building in corporate environments, as an outgrowth of my commitment to excellence, loyalty, dedication and integrity. Dare is proud to be a multilingual women's advocate, supporting her community on the committees of various charities and networking organizations. She has been a loyal ambassador to the Arthritis Foundation, and has served as a committee member and ardent volunteer at Habitat for Humanity, the American Cancer Society, Relay For Life, and at local churches. "I have long dedicated myself to volunteering, which has been a personal passion of mine since my youth. I have made a lifelong journey out of the desire for helping others." In 2010, Dare was named in Who’s Who in International Businesses among Executives, Professionals and Entrepreneurs. In addition to her list of professional networking associations, Dare is also a member to NAPW, National Association of Professional Women. 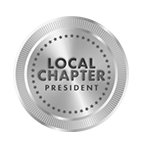 In 2012, Dare has accepted a challenging leadership position as the President, and also the Founder, of Santa Clarita Valley chapter of NAPW. Leaving the corporate world, in 2008 Dare graduated from ABCO Technology IT school, where she completed her CompTia A+ (Computing Technology Industry Association) and Microsoft Certified Systems Engineer (MCSE) training certifications. 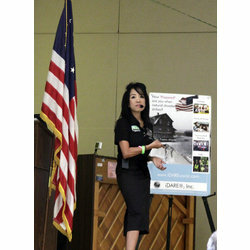 Not only Dare has earned her extensive experiences of over twenty (20) years combined in personal awareness, and self defense trainings as well as in firearms industry with various discipline skills of different weapon systems, she is also a DOJ FSC, as well as NRA, certified Firearms Instructor. She is an RSO certified, Range Safety Officer. Her extensive firearms certifications include: Uzi submachine, select fire M16, practical rifle, precision rifle, advanced tactical shotgun, defensive handgun, advanced tactical handgun, as well as non-firearms trainings such as rope and rappel, empty hand defense, edged weapon, knife training. Nicky Dare is a certified firearms instructor in Rifle, Shotgun, and Handgun. She is the author of "The Audacity of Veracity", and "Safety and Survival: Personal Preparedness Assessment Guide", and "The Power of Mindset". She is currently working on further works. Nicky Dare's books and the startup of the iDARE® organization have been fully funded by her late father, who has been the ultimate mentor and inspiration in her life.